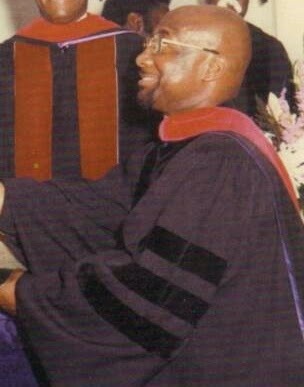 You may have seen YouTube video sermons of me wearing a preaching robe (formerly called a Geneva gown). While I wouldn't press wearing the robe on a weekly basis at my next pastorate (unless the church didn't care) let me give you my reasons for having done so. My congregation at my former pastorate, First Church of God (Princeton), enjoyed the robe. The church affiliation of my ordination, the Church of God (Anderson), is "Low Church." I imagine few of us follow a liturgical calendar or center our worship services around Holy Communion/Eucharist rather than the sermon, etc. 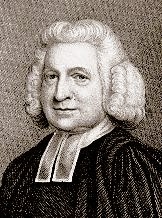 Though we embraced the holiness aspect of the Wesleyan Methodist movement we, in contrast with the Anglican priest, John Wesley, were birthed in Pietism, and Anabaptism. 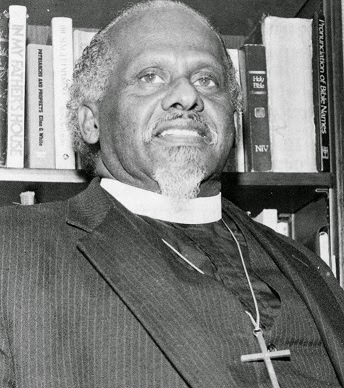 Below is a clip of the late Benjamin F. Reid (1937—1999) of First Church of God in Los Angeles preaching in a Geneva gown, clerical collar and a pectoral cross. And did you know that the clerical collar and the Geneva gown are of Protestant origin, not Catholic? The Geneva gown takes its beginnings from academia; we still speak of graduates in "cap and gown" to this day. 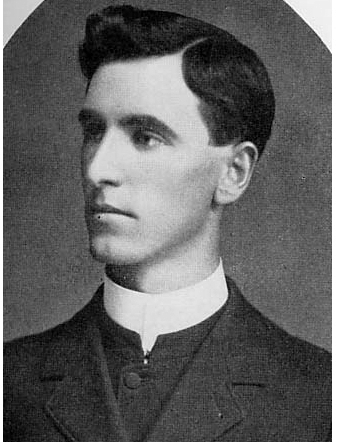 I'm not saying we should wear clerical collars because some early movement leaders did; I'm saying we should not despise clerical collars by adding (incorrectly), "We've never done it that way before." Yes, we have done it that way before. Yes, this was a personal preference and not a biblical requirement. I like the look of a Geneva gown; it connects me to the great Wesleyan tradition of yesteryear. However, I believe I can make a plausible case for our clerics to consider wearing them weekly (if their congregations wouldn't throw the pastors out if the ministers did). In an irenic spirit I offer you the following for your consideration. 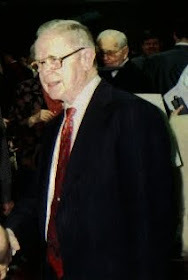 Lloyd-Jones' assessment reminds me of Elijah placing his prophet's cloak over the shoulders of Elisha (1 Kings 19.19), thus indicating Elisha's call and his succession of Elijah's ministry. This "mantle of ministry" is symbolically very powerful. I like a ministerial robe because it obliterates the man, in a sense. It takes the congregation's attention off his fashion and helps place it on his delivered word. The robe, in essence, says, "This messenger (in and of himself) is of no importance; listen to his message given by the Holy Spirit's authority!" 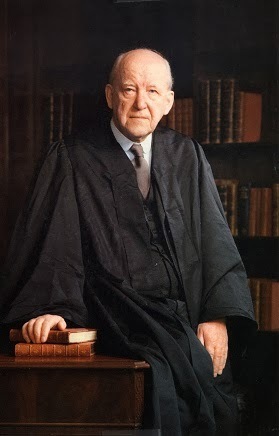 In an age when evangelical Christianity is chasing fads and commercialized slickness I believe a robe could help our ministers remind their congregations—and themselves—of the sobriety and solemnity of preaching the Word with integrity and authority. Allegedly conservative pulpits are treating the Word with such anti-intellectual superficiality these days (yes, I'm painting with a broad brush) and my hope is that some dressing up could help the preachers remember The Glory they are supposed to be preaching. The robe doesn't do that automatically, of course: mainline denominational pastors have been abusing the Bible for decades while so robed. However, it could help those of us not used to wearing ecclesiastical garments regularly see the seriousness of the sacred calling and the needed anointing of the task. Some may object that it makes the preacher look too formal. Is there anything so bad about that? After all, is there anything more serious than declaring the oracles of God? Doesn't conventional wisdom teach that it's better to be over-dressed than under-dressed in social situations? Truthfully, couldn't a Geneva gown be more respectful and decorous than an expensive suit? If "formal" is such a perceived problem then where is the middle ground between "stuffiness" and "slovenliness"? A business suit? A sports jacket with a button-down dress shirt (without a tie but a visible undershirt collar) and khakis? I am far more offended by televangelists who wear flashy (possibly Italian) suits. Couldn't ministerial robes just make things easier? Others may think that wearing professional clerical garb misses the point of "missional" or "incarnational" preaching; that is, preachers should dress like their listeners to build rapport with the audience. Because our American society has become more casual the trend is to dress down these days. I freely admit that this view holds sympathy with me. In fact, if I don't wear a robe then I'd want to wear khakis and pull-over shirts. Dress up or dress down is my desire. However, a little formality could help distinguish us from the society. Is it a bad thing for preachers to look different than the casual clothes androgynous mannequins at the mall display? Isn't it noble to be counter-cultural and not fadish? Timeless and not trendy? What's wrong with a little "other-worldliness" that a robe offers? 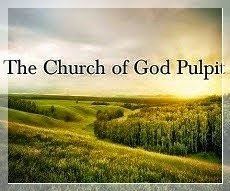 in the Church of God (Anderson) that God's Word is to be handled with reverence and preached with authority. That's all. I have worn my robe in different Churches of God. Most have said nothing at all. People just haven't mentioned it. I have had some people to speak favorably of it. I leave this for your kind consideration. If it is useful for your ministry then ponder it further. If it is not then mentally discard it. UPDATE: Recently I found this Presbyterian church website article from their pastoral leadership describing why they were changing clothing style and were going to begin wearing Geneva gowns. It is an interesting and tactful explanation. Click here to read the article.